Weekly Show hosted by Dave Klayman and Angel Ortiz covering the world of mixed martial arts. From fighters to fights, Philadelphia to the big show. 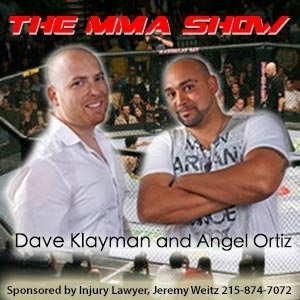 Today on the MMA Show, Dave Klayman and Angel Ortiz are in the studio, ready to bring the heat! For this week’s show, we're going to be talking MMA news, strategy, and predictions for all the upcoming fights. 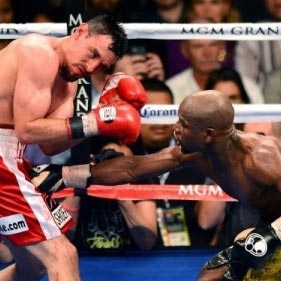 We'll also be recapping the Johnson- Moraga fight, as well as giving some thoughts and opinions on Shiming v. Ortega and Berto v. Soto- Karass. The interns have some news again for us this week, so stay tuned for an incredible show! Today on The MMA Show, Dave Klayman and Angel Ortiz are in the house, bringing some serious heat. Get ready as we delve into the recent controversy surrounding UFC 162, as well as some predictions and analysis of all the upcoming fights. The interns are picking up the Redbulls as we speak, so get prepared for a full throttle show! Catch us on the BYO channel Mondays at seven and replays Wednesday at noon! Today on The MMA Show, Dave Klayman and Angel Ortiz are in building, ready to dive into UFC 163: the rumors, the fights and the hype. Tune in for all the latest in MMA and UFC news, as well as expert opinions and analysis. We’re also going to mic up the interns today, so get prepared for an incredible show! Catch us on the BYO channel Mondays at 7 and replays Wednesday at Noon! Today on The MMA Show, Dave Klayman and Angel Ortiz are in building, ready to dive into UFC 163: the rumors, the fights and the hype. 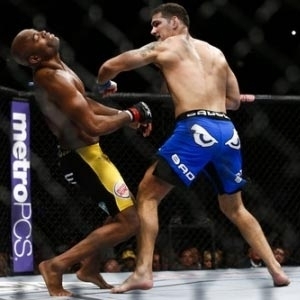 Tune in for all the latest in MMA and UFC news, as well as expert opinions and analysis. We’re also going to mic up the interns today, so get prepared for an incredible show! Catch us on the BYO channel Mondays at 7 and replays Wednesday at Noon! Today on The MMA Show, Dave Klayman and Angel Ortiz are in the house, talking in depth about the UFC 162 Weidman- Silva fight. Tune in for some real talk and expert analysis on conspiracy theories, as well as a full breakdown of the main card fights. Tune in for insider MMA info, and get ready for an amazing show! Today on The MMA Show, we're going to be interviewing Philly's own Champion Gabriel Rosado, who gives an insider's perspective on what's going down in boxing today. We have Angel Ortiz in the building, bringing the heat, the Redbull, and a lot of opinions about the upcoming Shogun Sonnen fight on Fox. We're going to recap the Saturday night Malignaggi- Broner fight as well as putting our interns on the spot by pitting them against each other in a MMA trivia game and then having them do some on the street interviews. Tune in for an incredible show! Catch us on the BYO channel at 7 pm on Mondays with repeats on Wednesday at noon for new shows. 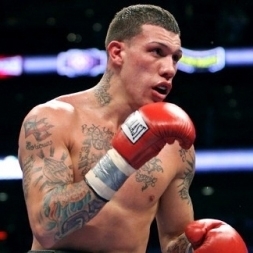 Today on The MMA Show, we're going to be interviewing Philly's own Champion Gabriel Rosado, who gives an insider's perspective on what's going down in boxing today. We have Angel Ortiz in the building, bringing the heat, the Redbull, and a lot of opinions about the upcoming Shogun Sonnen fight on Fox. We're going to recap the Saturday night Malignaggi- Broner fight as well as putting our interns on the spot by pitting them against each other in a MMA trivia game and then having them do some on the street interviews. Tune in for an incredible show! Catch us on the BYO channel at 7 pm on Mondays with repeats on Wednesday at noon.